• Munkhnasan Baatarjav, 28, of Lincoln Park was given two-year’s probation on August 15th for possessing a stolen motor vehicle. Just two weeks later, on September 2nd, police arrested Baatarjav in Lincoln Square for allegedly burglarizing a bike storage room. Prosecutors said Baatarjav was seen on video removing two bikes from a secured storage area in the 1800 block of West Argyle. He placed one bike in a car and rode away on the second one, according to allegations in court records. He was arrested when he returned for his car and the second bike. Police said they found some items inside his vehicle, too: a Visa card belonging to another man; another credit card that belongs to yet a different man; a debit card belonging to a woman; and, conveniently, Baatarjav’s Cook County probation card. Baatarjav was charged with two felony counts of residential burglary. His bail was set at $2,000, and he is now free after posting a $200 deposit. • Jose Clark, 37, has been sent to prison for burglary five times since 2007. He’s currently on parole after serving half of a seven-year burglary sentence that he received for stealing quarters from laundry machines in a South Side apartment building in 2014. On August 23rd, police responded to a call of a burglar breaking into the laundry machines of a Rogers Park apartment building. When cops walked into the room, Clark was tampering with the coin box back of washing machine, according to police records. Officers said they found $25 worth of quarters in his right pants pocket and another 19 quarters in Clark’s duffel bag. He was charged with burglary. The Illinois Department of Corrections (IDOC) refused to revoke his parole and Clark was released on a recognizance bond. 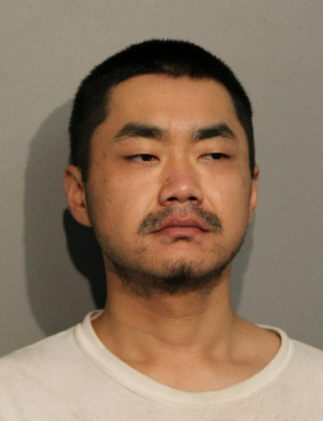 Detectives later connected Clark to another laundry room burglary in Rogers Park that was reported on August 16th. Clark was re-arrested and charged again with felony burglary. IDOC still hasn’t revoked his parole, but a judge did set a cash bail this time: $50,000. So far, Clark has not raised the $5,000 needed to go free. Before receiving the seven-year sentence in 2014, Clark received prison sentences of one year for retail theft in 2011; two years for possessing burglary tools in 2010; four years for burglary in 2009; six years for burglary in 2008; and six years for burglary in 2007. March 20th — While on parole, he is charged with criminal trespassing on the West Side. Released on a recognizance bond. April 1st — Under the name “Dwayne Sandress,” he’s charged with burglary of an apartment on the Near West Side. He posts the $500 deposit bond set by Judge Michael Clancy and goes free to await trial. April 27th — Fails to appear in court for the March 20th trespassing case. Prosecutors say it’s the 11th time he’s skipped out in the past two years. June 30th — Discharged from parole for theft. July 16th — Sentenced to one-year probation for the April 1st burglary by Judge Erica Reddick. August 10th — Using the name “Kevin Hamilton,” he is charged with burglary for allegedly stealing brass pipes from a construction site at Lincoln and Fullerton in Lincoln Park. Judge David Navarro releases him on a recognizance bond. August 12th — Released on a recognizance bond for the failure to appear in court on April 27th. 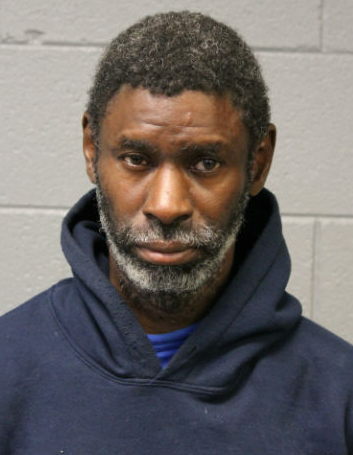 August 18th — As “Larry Johnson,” he is arrested for allegedly trespassing at a West Side gardening store at 5:55 a.m. He’s released on a recognizance bond. August 20th — Fails to appear in court for the Lincoln Park burglary case. It’s his 12th no-show in the past two years, according to prosecutors. A warrant is issued for his arrest. 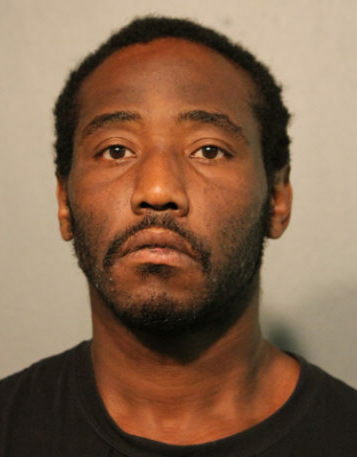 August 21st — Under the name Dawayne Barber, he is arrested and charged with burglarizing a film studio and a school in Humboldt Park. The court’s pre-trial services division recommends that he be released on electronic monitoring. Judge Michael Clancy agrees with electronic monitoring but adds $30,000 bail. Barker will need to post $3,000 to go free. Separately, he is held without bail on the Lincoln Park case. August 23rd — A recognizance bond is issued on the “Larry Johnson” case, but Barber remains jailed on the August 21st and August 18th cases. CWB's court observer will keep you posted as these cases make their way through the system.